For months now – indeed, since the October 2014 Lowcountry Pie Getaway in Savannah – we’ve been getting anxious emails from Pie Academy members wanting to know as much as possible about our next Getaway. Well, I’m pleased to say that we have finally nailed down the particulars and we’re ready to announce the details and start signing up all comers until the slots are filled – and we are expecting a full house. While I’m confident that this year’s Charleston getaway will be every bit as fantastic as last year’s, our goal is to go even further in hosting a one-of-a-kind pie weekend and culinary event that you simply could not find elsewhere. How will we do that? What’s in store for the lucky few who’ll make the journey to one of America’s most beloved destinations? Read on. 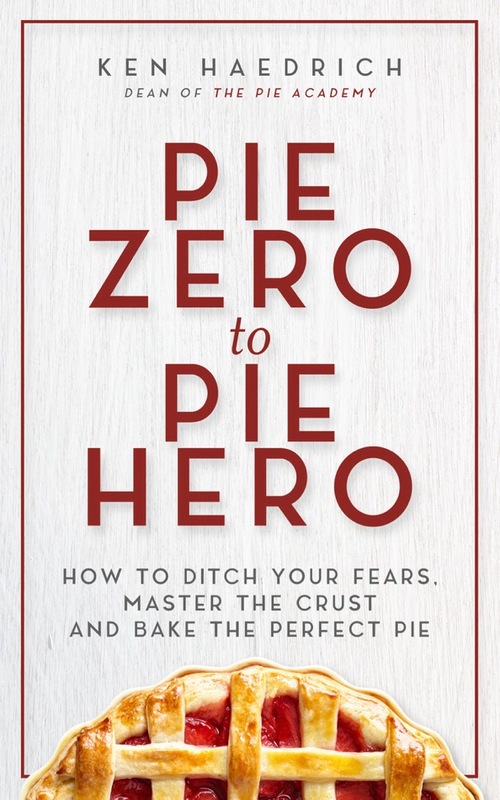 In a nutshell, it’s an opportunity to jumpstart or hone your pie making skills along with other members of The Pie Academy. It’s a chance to learn in two days what might take you months or even years to “get” on your own. The intimate size of our group, and the opportunity for individual instruction, means that your current pie skills aren’t nearly as important as your desire to learn and become a more confident, more accomplished pie maker. But that’s just for starters because our Getaway is about so much more. As we had hoped…and discovered last year…our Lowcountry Pie Getaway is one-of-a-kind event where fast friendships are made, exciting new places are explored for the first time or revisited with fresh eyes, and lasting memories forged. With just the right mix of hands-on “pie time” – and enough “downtime” to get out and experience Charleston on your own – your Getaway pie weekend is designed to be a learning pie vacation, and not some sort of pie boot camp. Charleston, South Carolina – a place that just about everyone calls “my favorite city” once they’ve been. There’s simply no place like it. Charleston is an elixir for the weary soul, a city where the hospitality, the architecture, the history and surrounding Lowcountry cast a spell one can never forget, nor find elsewhere. 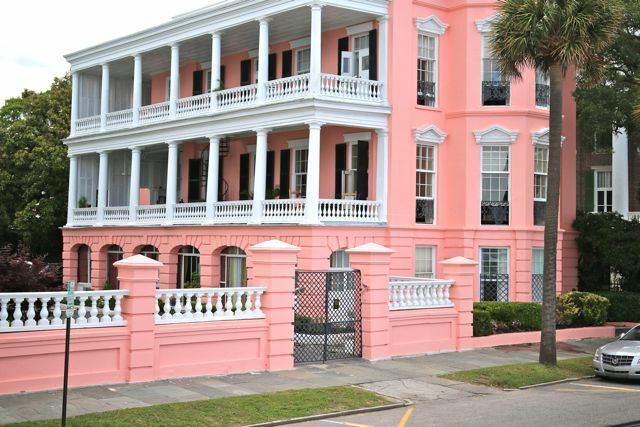 The Charleston waterfront is lined with gorgeous homes, like this one that’s hard to miss! Charleston is not a place to rush. The cobblestone streets, markets, gated gardens, and waterfront lined with stately historic mansions all invite you to slow down and inhale the sweet fragrance of jasmine and strike up conversations with passersby. You will love it here. 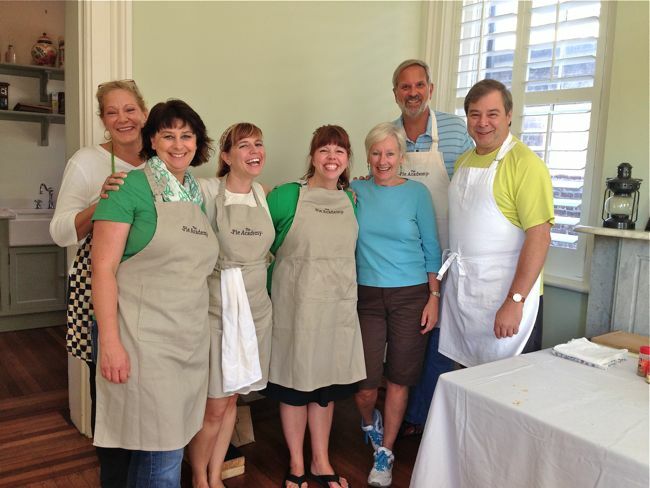 The dates for this year’s Lowcountry Pie Getaway are October 9, 10, and 11 – Columbus Day weekend. The Lowcountry is glorious in the fall and the weather typically sensational. Don’t miss the Charleston city market, where you’ll find blocks worth of local and regional vendors. That being said, if at all possible we highly recommend stretching out your stay to take in more of what the Lowcountry has to offer. It would take a month just to see all of the local sites, and lovely Beaufort, SC and Savannah, GA are day/overnight trips you should also consider. If you do want to turn your Getaway into a small vacation, please let us know: my wife Bev made Charleston her home for 25 years, and we lived in nearby Hilton Head for nearly 4 years. We’ll help you plan a great stay. 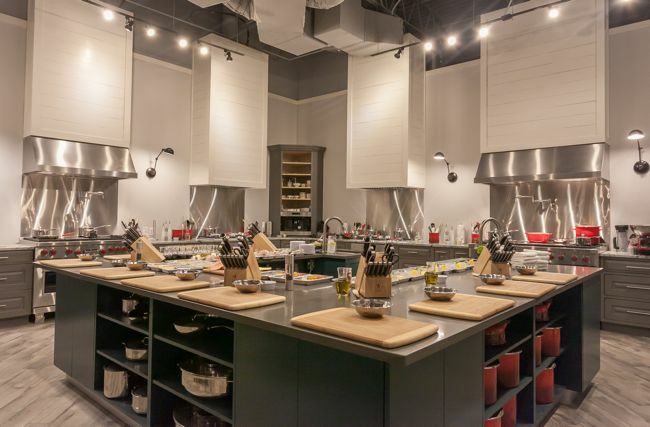 Get ready to bake some pies in one of the coolest kitchens you’ve ever been in. Now this is the really exciting news. For last year’s Getaway in Savannah, we rented out an entire historic inn. It was wonderful…intimate…and we all loved it. But we had just one small kitchen and dining room to work in, and one oven to bake in. It all worked out. 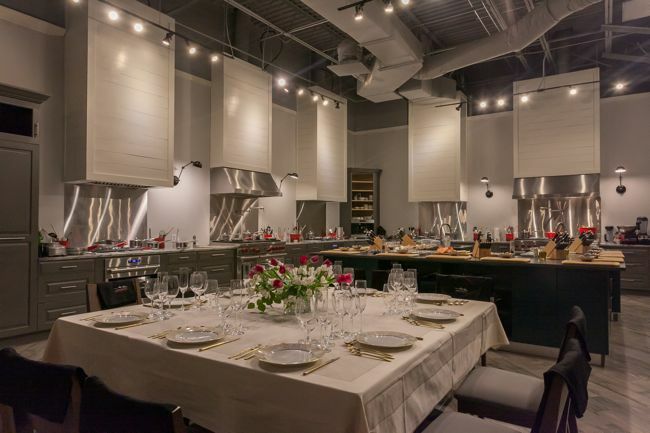 But we knew – especially with the interest we’ve had for a Charleston Getaway – that we would need a bigger, better equipped, more spacious kitchen this time around, one that could easily accommodate a dozen or more pie makers. 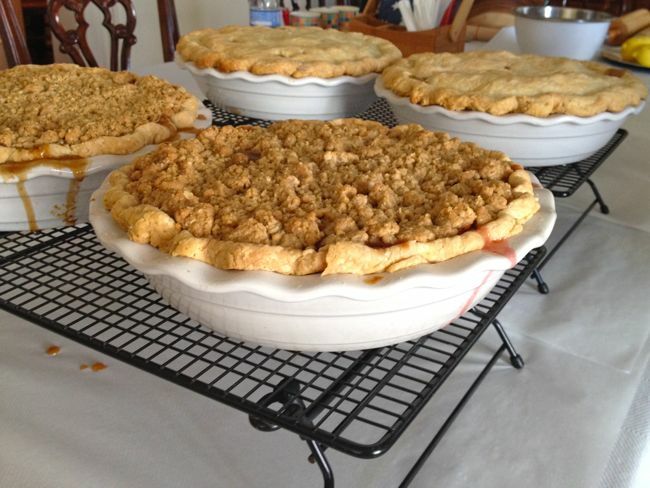 Pie HQ for our 2015 Lowcountry Pie Getaway – plenty of room to bake, dine, relax. 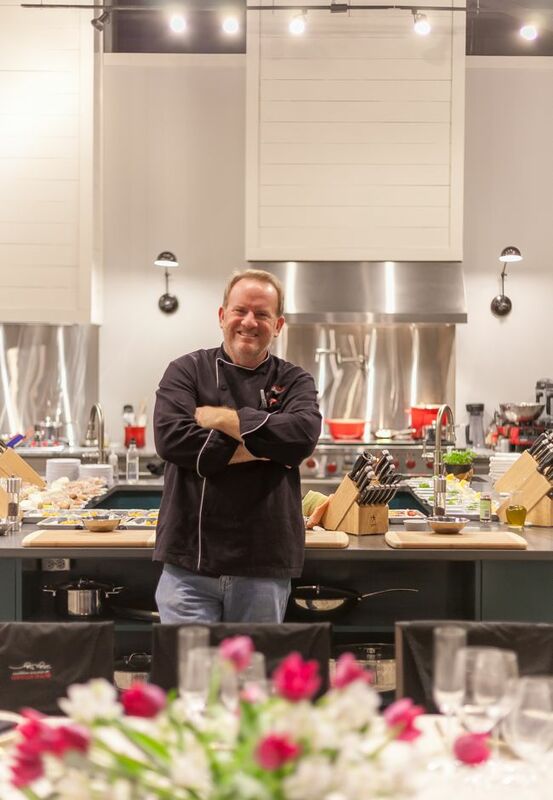 As luck would have it, earlier this year my old friend Bob Waggoner – one of Charleston’s most highly regarded chefs – opened a new showcase kitchen in downtown Charleston, where he gives cooking classes and prepares dinners for private groups. We stopped in to see Bob and knew immediately that we HAD to do all of our baking here for the Getaway. It’s a sort of died-and-gone-to-heaven venue for anyone who loves kitchens, kitchen equipment, gorgeous ovens, and gleaming marble work surfaces. And it’s absolutely perfect for the Getaway since there’s ample working space and enough ovens for everything we’ll be preparing. The address is 164-A Market Street, Charleston, SC 29401. Special Welcome Reception – Pick up your Lowcountry Pie Getaway Swag Bag and meet your fellow pie makers. Location to be announced. -Saturday morning will be a crash course in pie crusts. 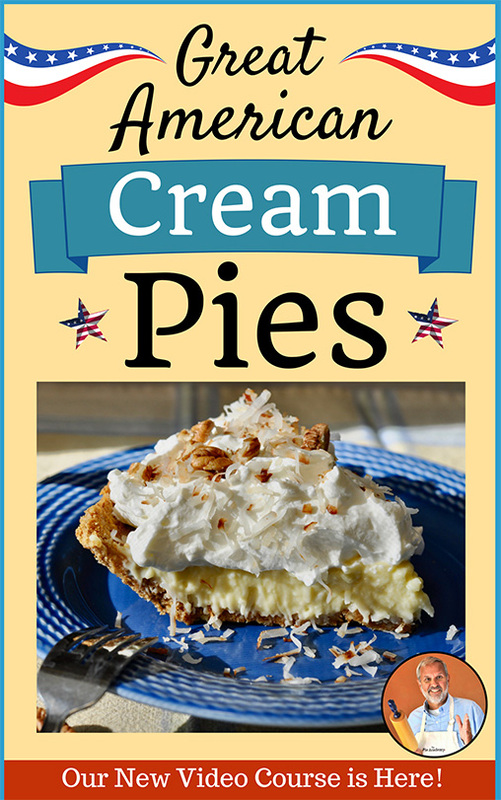 We’ll make a variety of pie doughs both by hand and in the food processor, and get a better understanding of how different fats – especially butter and Crisco – impact the mixing, handling, and flavor of a pie crust. -Saturday Lunch & Learn Session: How to Make Pie Dough in your KitchenAid Mixer. -Saturday afternoon will be a Fruit Pie Free-for-all. Using a variety of fall fruits, spices, and add-ins, each participant will prepare and bake a signature pie to be served on Sunday, after dinner, at our Pie & Ice Cream Social. 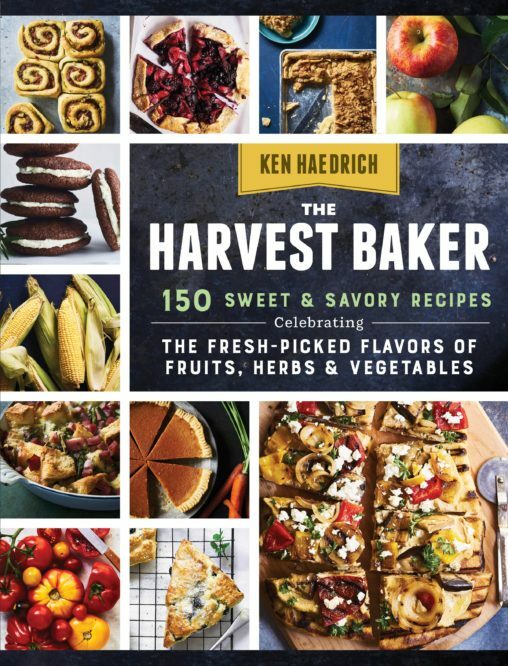 –Other Saturday sessions and topics include a discussion of how to incorporate whole grain flours into your pie doughs; an overview of the best and most useful tools for pie makers; tips on How to Roll Your Dough Without Having a Meltdown; and the secrets to perfectly prebaked pie shells. 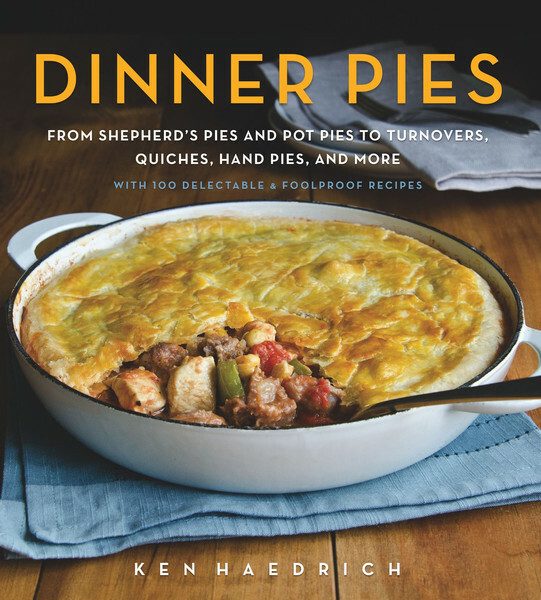 The theme for Sunday morning – and, not coincidentally, the title of Ken’s soon-to-be-released cookbook – is Dinner Pies. 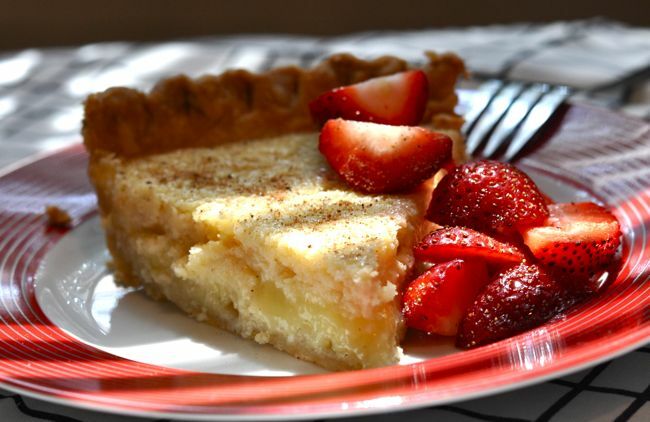 –Sunday morning you’ll choose from among a selection of dinner pie recipes, pick a baking partner, and start preparing your choice of a special quiche, savory galette, or pot pie. You’re sure to work up an appetite, so when these savory pies come out of the oven by lunchtime you’ll be good and ready to sample the fare. -Sunday afternoon we’ll finish up our baking day with a class on mini fruit pies, including turnovers and small pies baked in pie tins. You’ll have a chance to make and bake one – or both kinds of pies – followed by a session on some presentation ideas for your small gift pies. -Other Sunday sessions and topics include How Not to Make a Leak Quiche; a parade of the best mini pie pans; and is Euro-style butter really worth the extra expense? 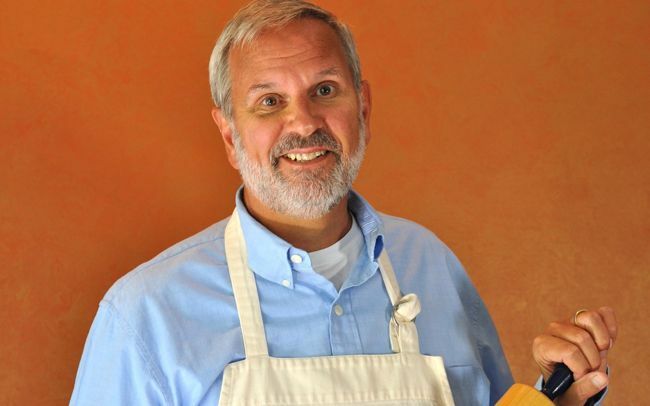 -Sunday evening: Special Sunday Send-Off Dinner by Chef Bob Waggoner, followed by Pie & Ice Cream Social. Time to be announced. …I first met Bob years ago when I wrote an article about him for National Geographic Traveler. Talk about an impressive resume: at age 26 he was the first American chef to own his own restaurant in France, the acclaimed Le Monte Cristo. He’s worked under two star Michelin chefs, had his own PBS cooking show, and has done as much as anyone – with his French-influenced Lowcountry cuisine – to define Charleston’s culinary scene. Anyway…I’ve arranged for Bob to personally prepare and serve a special Lowcountry meal for our Sunday Send-Off Dinner. 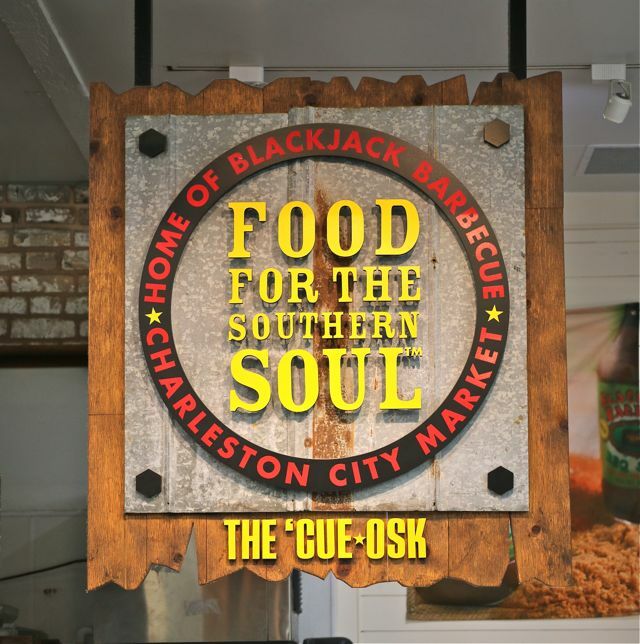 Trust me: it will be good, as good as you’ll find in Charleston. And as far as I’m concerned, this is the hottest ticket in town. 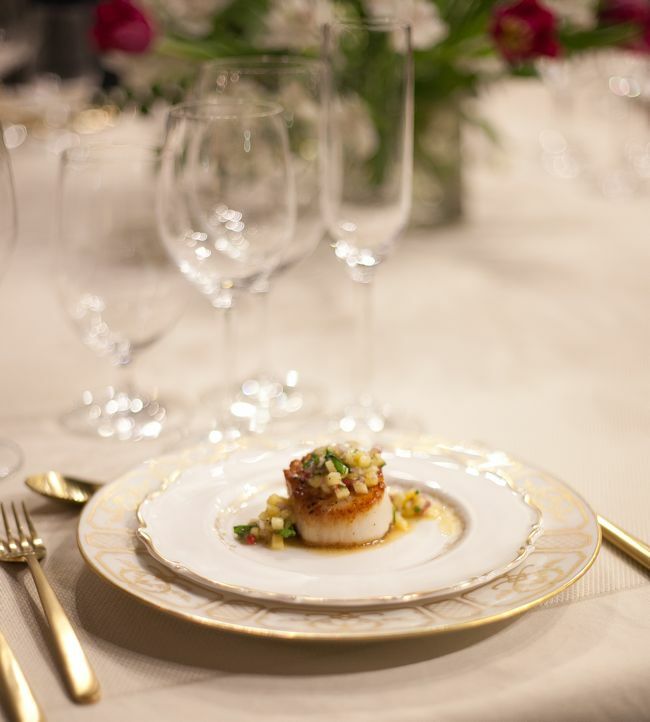 Among many other items, the cost for the dinner is included in your Getaway. We thought long and hard about this, and in the end decided that we would leave your accommodations up to you instead of making them part of a package. Our reasoning went like this: there’s a ton of rooming possibilities, and we wanted to give our attendees as many options as possible. For instance, we’ve had a couple of people write to say that they’d like to come and they’ll be staying with family that live in the area. They won’t need a room. Some attendees may want to use airline or credit card points to book a room, or you may have timeshare possibilities in the area. We have a couple of small groups who’ve expressed an interest in coming, 2 or 3 friends who want to say in one room together. A group like this can find the exact sort of arrangement that suits them best. We have not checked room availability for the following, but – depending on your budget – you might want to see about rooms at one of these places: the aforementioned Hampton Inn at Patriots Point, and the Old Village Post House Inn, both in nearby Mt. Pleasant; downtown there’s the Battery Carriage House Inn, the Vendue Inn, the King Charles Inn and many other inns; and for a really classy (and pricey) hotel right down the street from where we’ll be baking, there’s Charleston Place hotel. Wherever you book, keep in mind the distance to downtown and to Bob’s showcase kitchen, where we’ll be baking. The address again is 164-A Market Street, Charleston, SC 29401. The 2015 Lowcountry Pie Getaway includes quite a nice package of instruction and extras – see below – but transportation (and accommodations) are not included. Assuming you are flying directly into Charleston, you’ll fly into Charleston International Airport. Depending on traffic, it’s a 20- to 25 minute ride from the airport to downtown. A one-way cab ride will cost you about $30 plus tip. There are also shuttle services, but the ones we checked cost more than a cab ride. Try to arrive before afternoon rush hour, to avoid the heaviest traffic and to allow extra time to explore the city before our Friday evening Welcome Reception. If you decide to rent a car, many of the hotels provide valet parking (for a fee). Finding a parking space downtown can be tricky, but there are quite a few parking garages, including one directly across from our host kitchen facility. If you’re staying at an inn or a hotel downtown, and don’t plan to explore out of town, you may not even need a car. 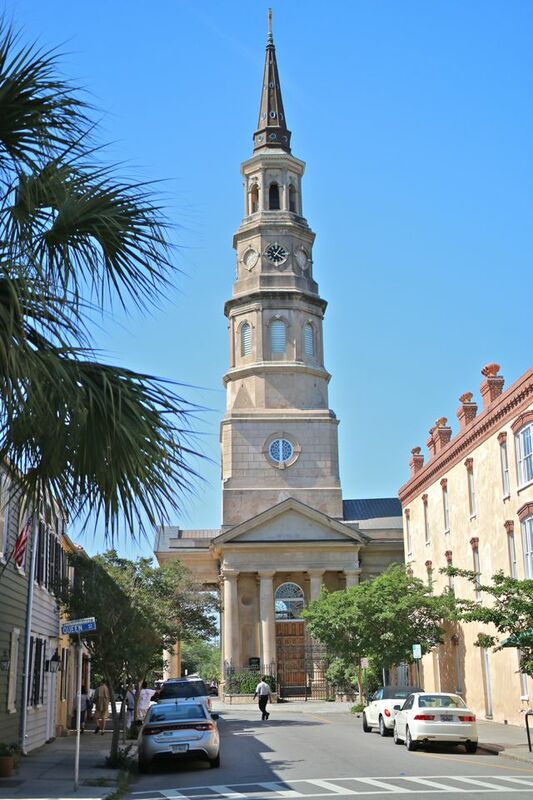 Charleston is not a small city, but it is quite walkable – wear comfortable shoes! you’ll be on your feet a lot and there are many cobblestone streets. Besides, it’s a simple matter to catch a cab for short hops. – Special Welcome Reception downtown, where you’ll meet your fellow bakers and receive your 2015 Lowcountry Pie Getaway Swag Bag full of great gifts. Location to be announced. -Your own pie plate to take home. -Continental buffet-style breakfast on Saturday and Sunday, served at our host kitchen facility. -Saturday and Sunday lunch, both days featuring Ken’s Lunch-and-Learn demo sessions. Early (Pie) Bird Special Price if you book by June 17th, 2015 – $995. We’ll send each Early (Pie) Bird registrant a pie bird in the mail, our gift to you for signing up right away. Send an email to bev@thepieacademy.com and ask for a Lowcountry Pie Getaway registration form. Fill it out and email or fax it back to us. After you return your completed registration form we will email you a PayPal invoice so you can pay by credit card. You may also pay by check; you’ll find details on the registration form. If you have any questions, either about the event itself or the registration process, please contact Bev – bev@thepieacademy.com. Be sure to include your phone number so we can contact you by phone, if necessary. We’re so excited to be holding this year’s Getaway in such a beautiful city, and in such an incredible kitchen – it’s everything we hoped to offer to our Pie Academy members. It’s going to be a fabulous event, and we really hope you can make it. But please, if you’re serious about coming, don’t wait too long to sign up. Charleston seems to be THE place everyone wants to visit, but once all of our slots are taken, we’ll have to close down registration. We wouldn’t want you to miss out.